The very latest list of postcode locality file containing "Postal Required" and "Postal Not Required" locality names across the UK..
To illustrate, the Full Postcode database shows which Postally Required Locality each Postcode belong to, for example "Littlewick Green", "Burchetts Green" and "White Waltham" in Postcodes starting with SL6 3. The Postcode Sector list also shows these but also shows 11 additional Postally Not Required Localities for the Sector SL6 3 including places such as Holloway, Maidenhead Thicket, Woodlands Park, Littlefield Green and so on. In total these files relate the UK Postcode geography to over 45,000 commonly used Locality names. The Postcode to Locality list is ideal for relating Postcodes and address information to their relevant Traditional Administrative Locality. The data is therefore essential for allocating customers or for sales leads to sales areas which are defined by Locality or for assessing demand for Locality based local services. The Postcode Locality List is supplied as a Comma Separated Variable (CSV) delimited text file using double quotes by default. This field format will open very easily using almost any software application including but not limited to Excel, Word, Notepad, Access, SQL etc. Due to the size of the file, older versions of Excel may not be an option as Excel limits any file size to around 65,000 rows / records. 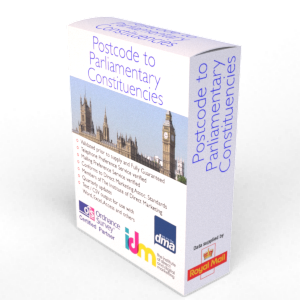 The Postcode Locality List is by default emailed at the time of order using a secure download link delivery method. If you require the data supplied in another format then we will be more than happy to accommodate you where reasonable to do so at no extra cost. The Postcode Locality List is licensed annually for each user that has access to it according to Royal Mail Terms and Conditions.